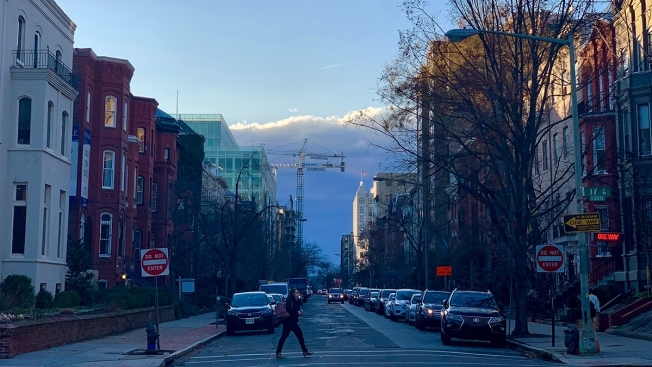 Washingtonians enjoy mild weather on Jan. 8, 2019 before a cold front moves in. Many Washington-area residents headed outside Tuesday to enjoy mild temperatures and sunshine, but winter is expected to come roaring back Wednesday into the end of the week. Dig out your puffy coat — and maybe your snow shovel, Storm Team4 Chief Meteorologist Doug Kammerer says. A storm system pushes into the D.C. area Tuesday night bringing rain. Showers are forecast to hit D.C. after 9 p.m. A brief downpour is possible. Cold returns Wednesday as wind chills dip into the 20s and 30s. Kammerer says it will be partly sunny with high temperatures in the 40s, but bring your winter gear because of wind gusts near 40 mph and temperatures that will fall through the day. 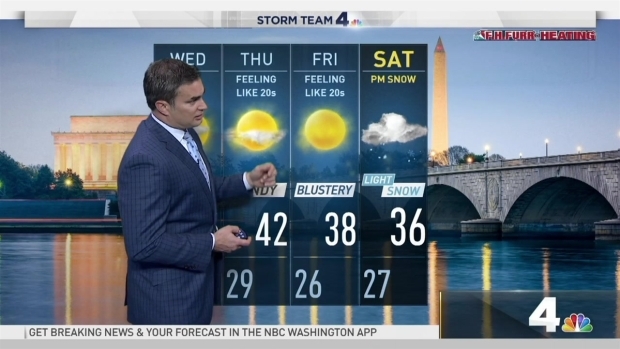 Thursday morning, feels-like temperatures in areas including Manassas, Culpeper and Gaithersburg could fall into the teens. Storm Team4 is tracking snow over the weekend that could impact the entire region. Models show the snow arriving Saturday afternoon and sticking around overnight and into Sunday. It's too early to forecast exactly how much snow may fall, but Storm Team4 expects a low- to medium-impact storm. This will likely be the longest stretch of winter-like weather we've seen so far this season.